Home Television	Hulu now has LIVE TV! Hulu announced today that they are now offering live television. Hulu enters into the forming world of offering live TV for apps. Youtube recently announced and launched in select markets “Youtube TV”. New York, NY – (May 3, 2017) – This morning, during its annual Upfront presentation, Hulu CEO Mike Hopkins announced the launch of the company’s brand new live TV streaming beta service, along with its groundbreaking new user experience, to the public. Beginning today, viewers who subscribe to the Hulu with Live TV (Beta) plan can enjoy live and on demand programming from more than 50 popular sports, news, entertainment and kids’ channels — plus Hulu’s deep existing premium streaming library — all for $39.99 per month, with no setup costs or hidden fees. This includes 50 hours of recording storage, up to six individual profiles and two simultaneous streams per account, with options to upgrade to an enhanced Cloud DVR and unlimited in-home screens. The company also announced a new affiliate agreement with lifestyle media leader Scripps Networks Interactive to bring its popular networks, including HGTV, Travel Channel and Food Network, to both Hulu’s new live service and existing premium streaming offering. With today’s launch, Hulu becomes the only pay-TV service to offer live and on demand channels, original series and films, and a library of premium streaming TV shows and movies, all in one place. This includes content from the four major broadcast networks, ABC, CBS, FOX and NBC, with local live broadcast affiliate programming immediately available in many markets, with more to follow; the biggest live sporting events from top pro and college leagues on channels including CBS Sports, ESPN, Fox Sports, NBC Sports and TNT, as well as regional sports networks available in many markets; top news channels CNN, CNBC, Fox News, Fox Business and MSNBC; popular lifestyle programming from Bravo, E!, Food Network, HGTV and Travel Channel; and fan favorites like A&E, Cartoon Network/Adult Swim, Disney Channel, Freeform, FX, HISTORY, Lifetime, National Geographic, TBS, USA Network, Viceland and more. In addition, the $39.99 per month base package includes Hulu’s existing $7.99 premium streaming offering with limited commercials, which offers more than 3500 TV and film titles — and now includes full seasons of Scripps Networks series — as well as acclaimed Hulu Originals such as The Path, The Mindy Project, Golden Globe-nominated comedy Casual, and 2017’s most talked-about new series, The Handmaid’s Tale. 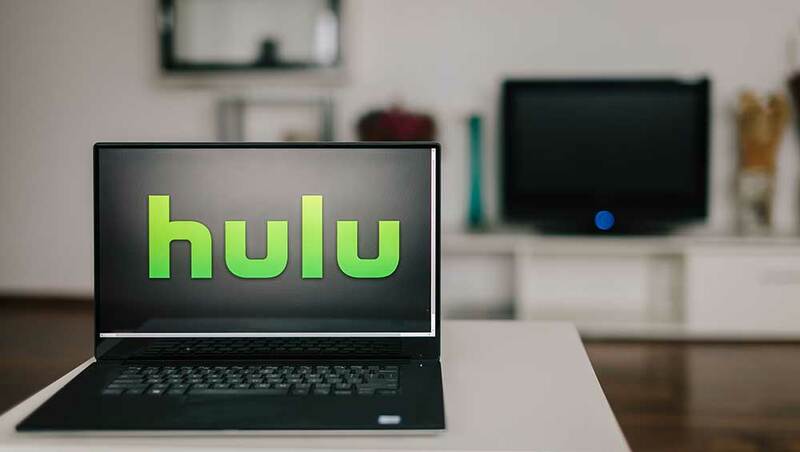 Viewers who wish to watch their Hulu Originals, movies, and library content without advertising can subscribe to the company’s on-demand No Commercials plan for an additional $4.00 per month. Hulu now features an easy-to-use, intuitive interface that seamlessly blends together live, recorded and on-demand content. From creating a personal profile to picking favorite TV shows, news channels and movies, Hulu makes it easy for viewers to watch what they love and enjoy the same personalized experience whether they’re at home on the couch or catching up on the go. The more a viewer watches, the more tailored the service gets, adjusting its recommendations based not only on the content they consume, but also time of day and which device they’re using. For sports lovers, it is especially easy and convenient to customize the Hulu experience. Subscribers to the Hulu with Live TV (Beta) plan can follow their favorite major pro and college teams from leagues including the NFL, NBA, NCAA, MLB, MLS and NHL — and Hulu will surface and record those games live, subject to availability. There is no longer any need to know what channel the game is on. Hulu also offers a “Kids Mode” for families with children. Setting up a profile in Kids Mode allows young viewers to enjoy Hulu’s full array of kid-friendly programming, without the ability to search or browse the rest of the Hulu catalogue. All subscribers to the Hulu with Live TV (Beta) plan will automatically get to experience Hulu’s new interface. For Hulu subscribers who do not opt for live TV, the new interface is currently available on Xbox One, Apple TV (4th Gen.) and Android mobile devices. Enhanced Cloud DVR ($14.99/month): Subscribers can upgrade to 200 hours of recording storage and more powerful cloud DVR capabilities, allowing them to record as many shows as they want to at the same time and watch from anywhere — no clunky boxes needed. With the Enhanced Cloud DVR, Hulu will record new episodes of any show or games of any team that viewers have designated as a favorite, and they will be able to fast forward through recorded ads. Unlimited Screens ($14.99/month): Hulu’s Unlimited Screens add-on gives viewers as many simultaneous streams as they want in the home, and three outside the home, so the entire household can enjoy Hulu at any time. Enhanced Cloud DVR + Unlimited Screens ($19.99/month): Viewers can bundle both product add-ons together and save $10.00. SHOWTIME ($8.99/month): Fans of SHOWTIME can add the channel, giving them unlimited, on-demand access to all of SHOWTIME’s award-winning original series, box office hits, documentaries and specials. Additional premium network add-ons will become available soon. Like Hulu’s existing premium streaming offering, Hulu’s new live TV beta service will be available across Internet-connected living room and mobile devices. The new service begins rolling out today on Apple TV (4th Gen.), Xbox One, iOS and Android mobile devices, as well as Chromecast. More devices including Roku, Amazon Fire TV, Amazon Fire TV Sticks and Samsung Smart TVs will be supported soon. For more information, a list of available live channels, or to sign up for the Hulu With Live TV (Beta) plan, please visit Hulu via a web browser: www.hulu.com/live-tv. Kim and Kanye are ENGAGED! Justin Bieber Gone Crazy – AGAIN!